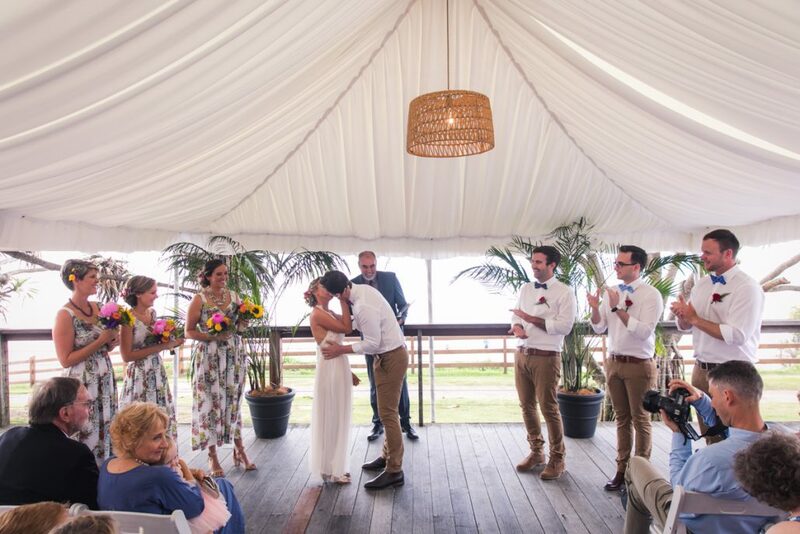 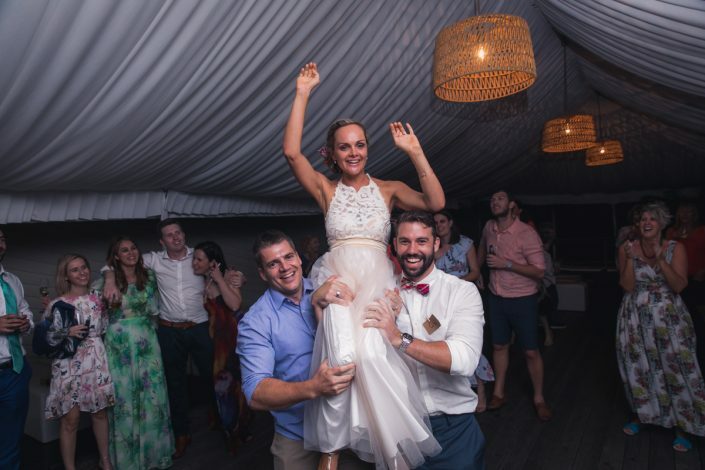 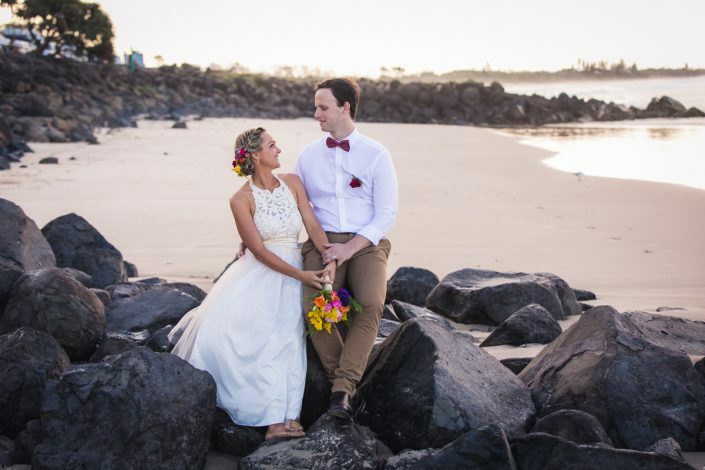 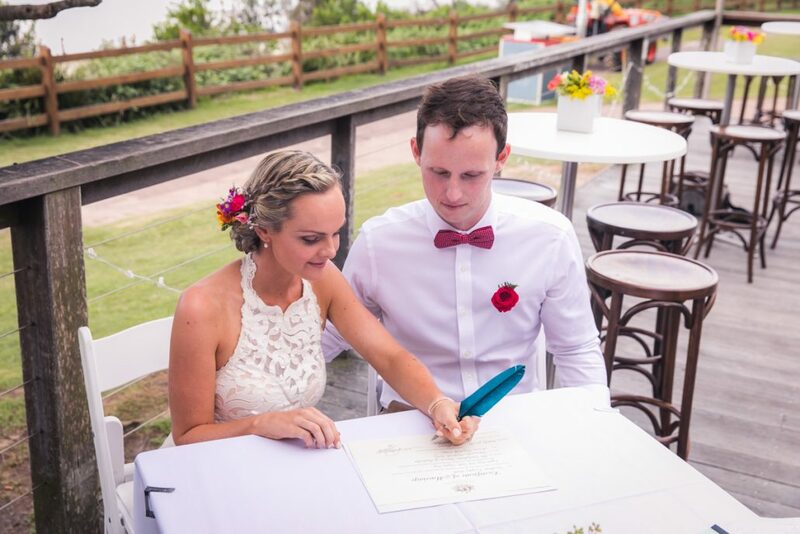 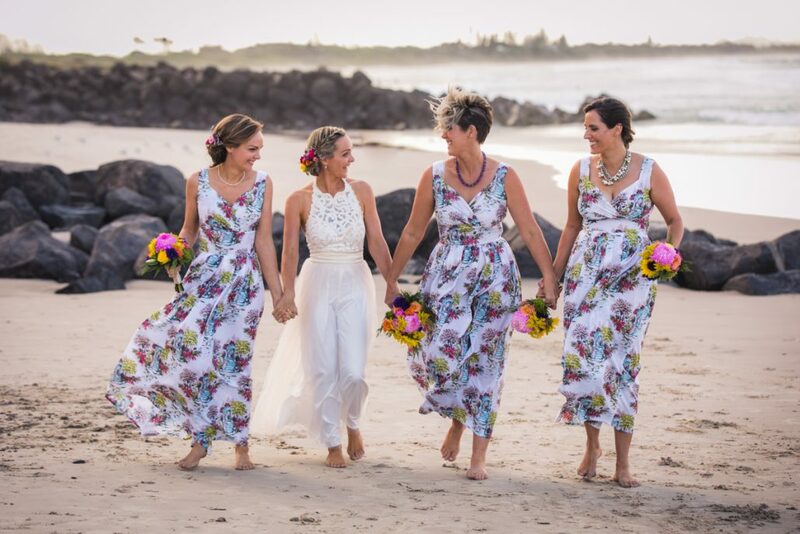 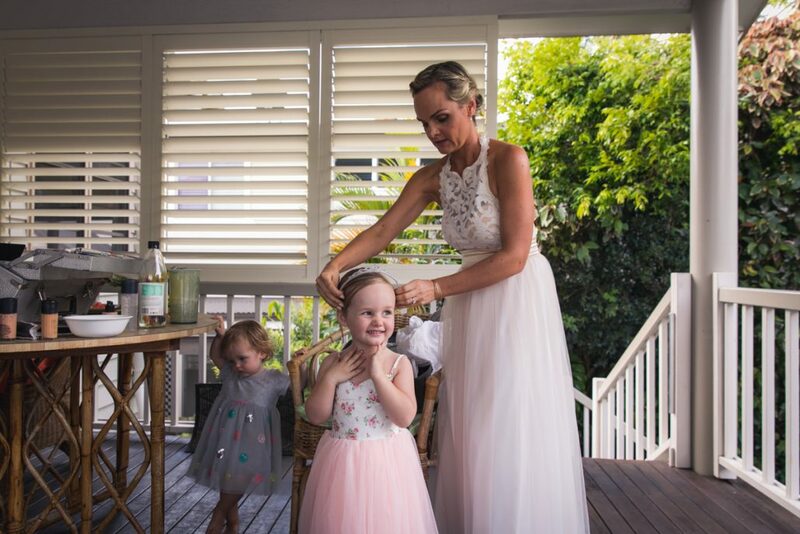 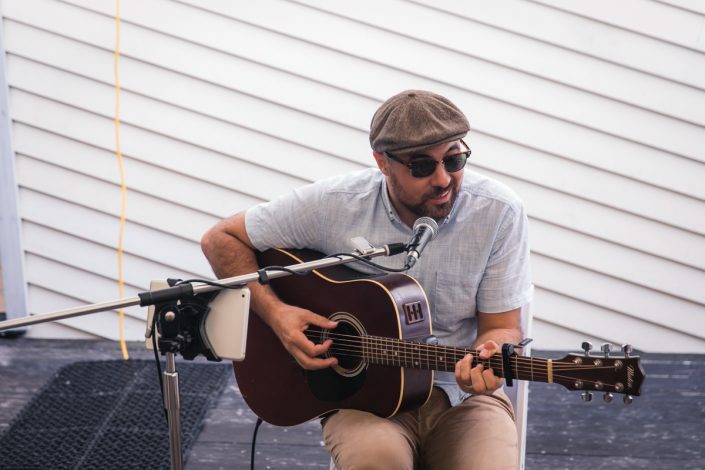 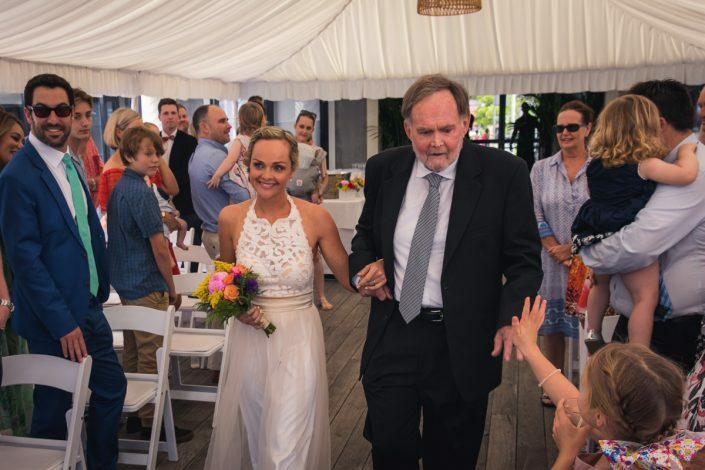 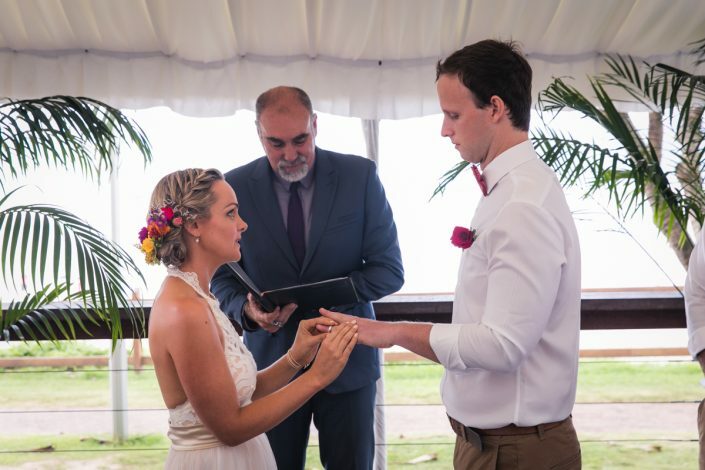 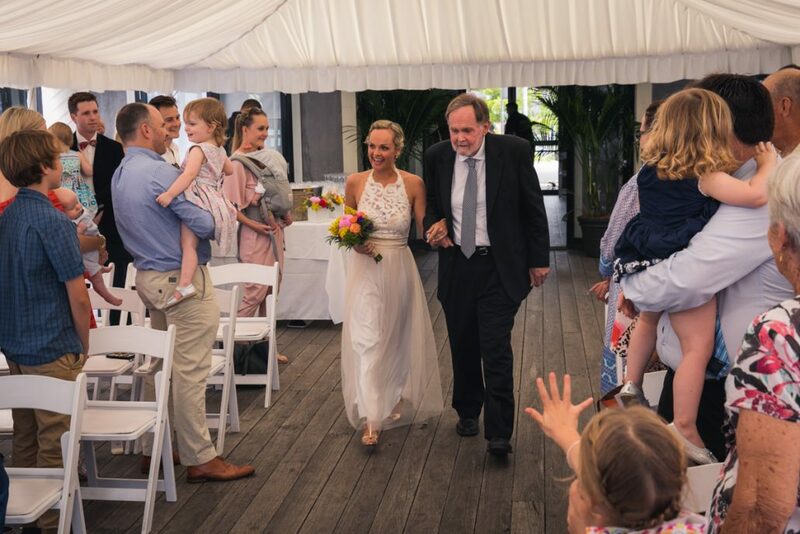 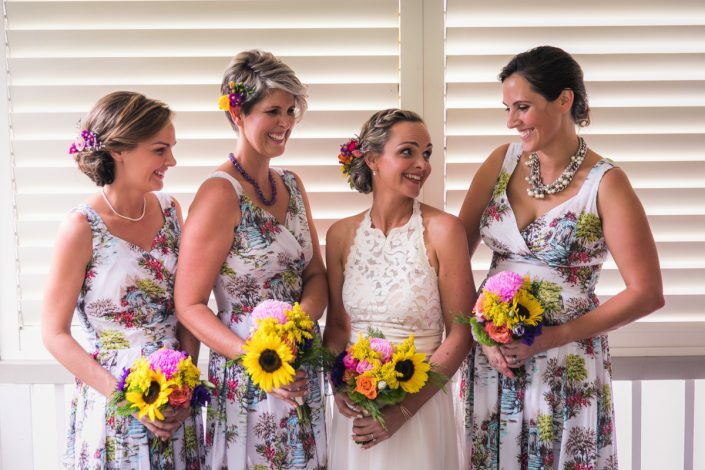 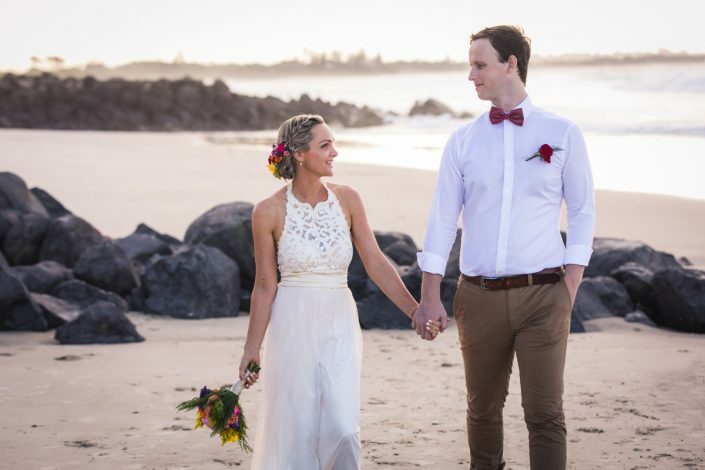 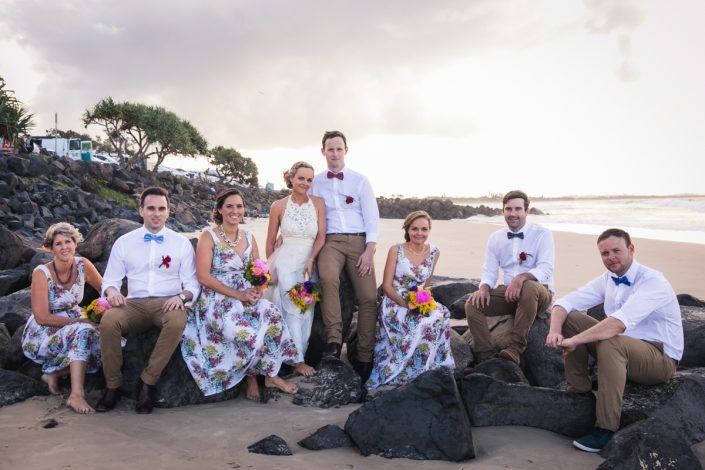 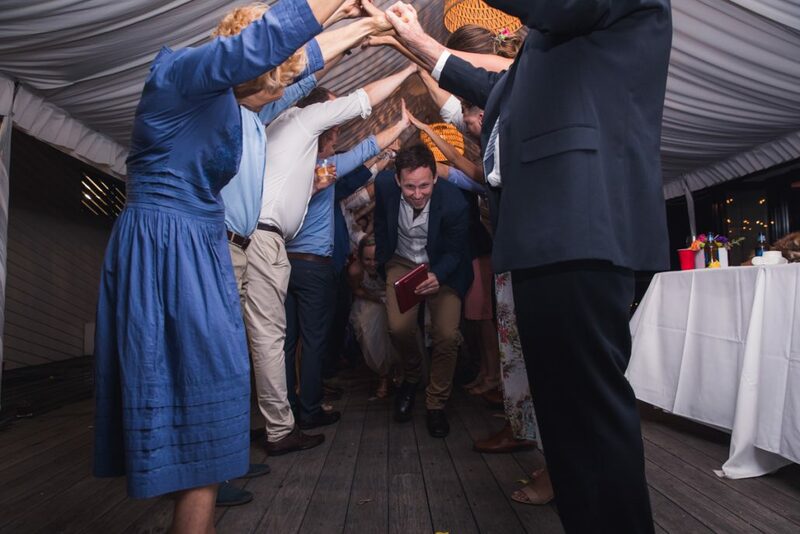 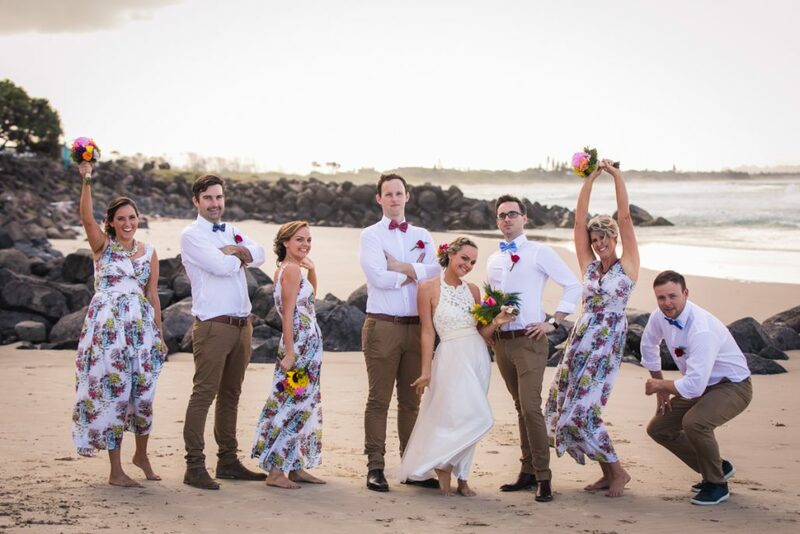 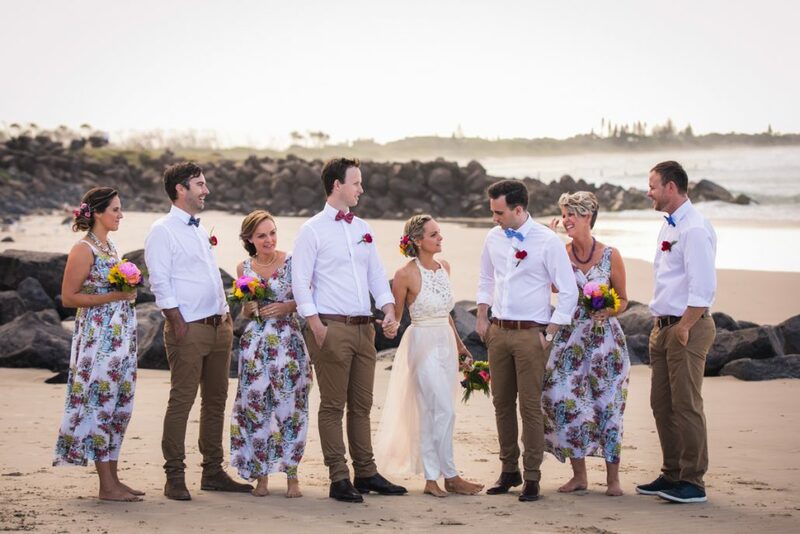 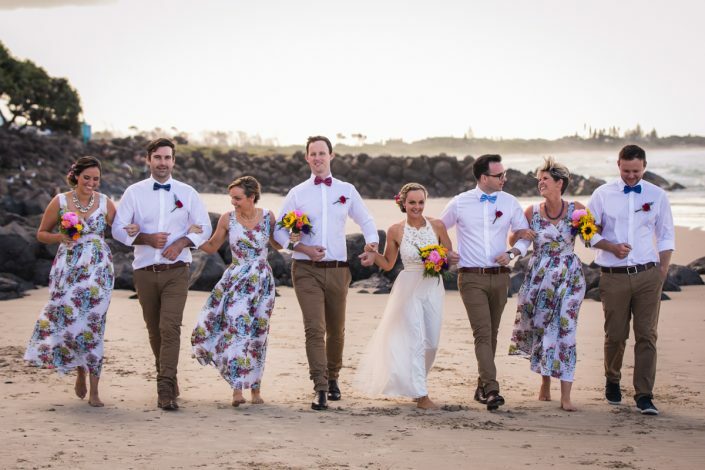 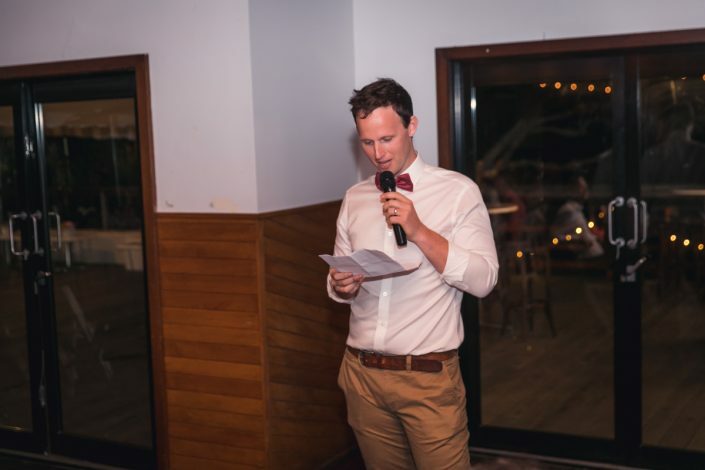 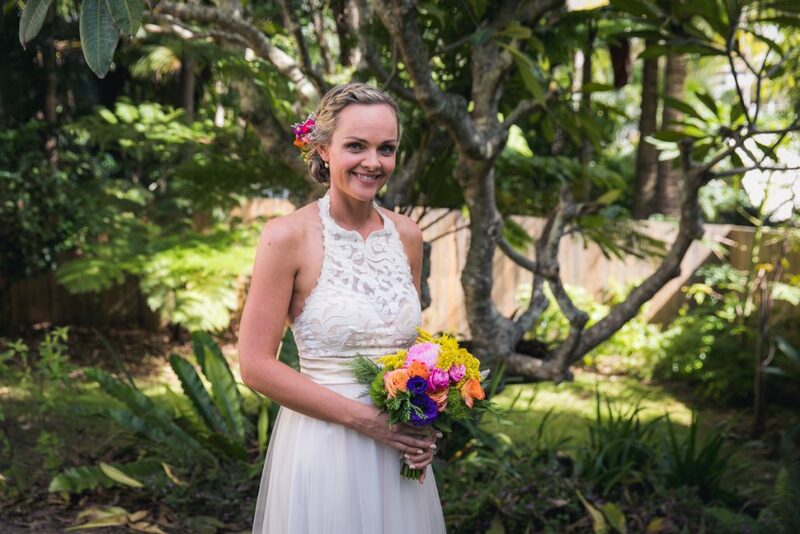 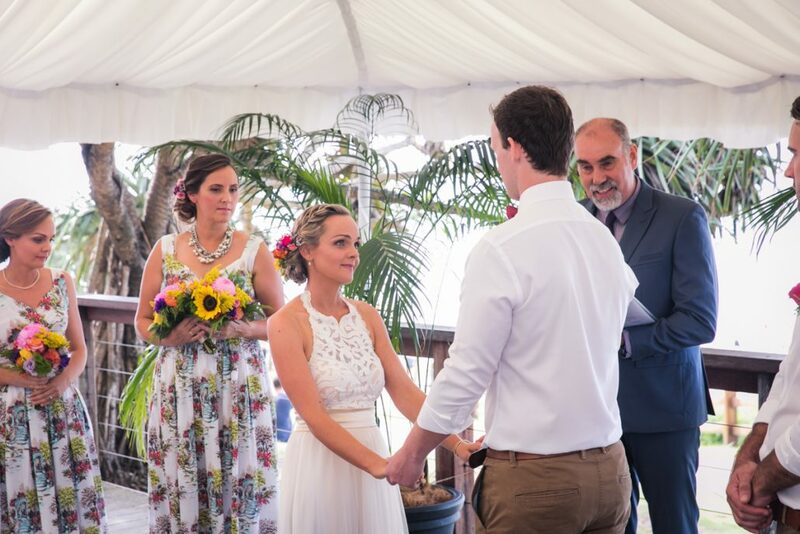 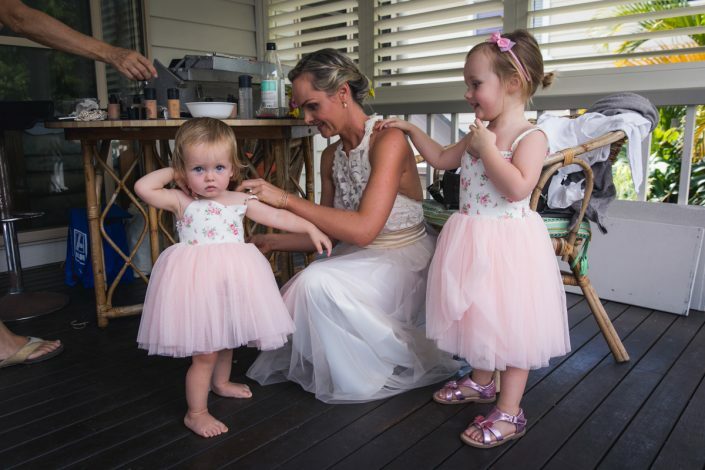 Anna and Alex were married at Byron Bay Surf Club in March 2018. 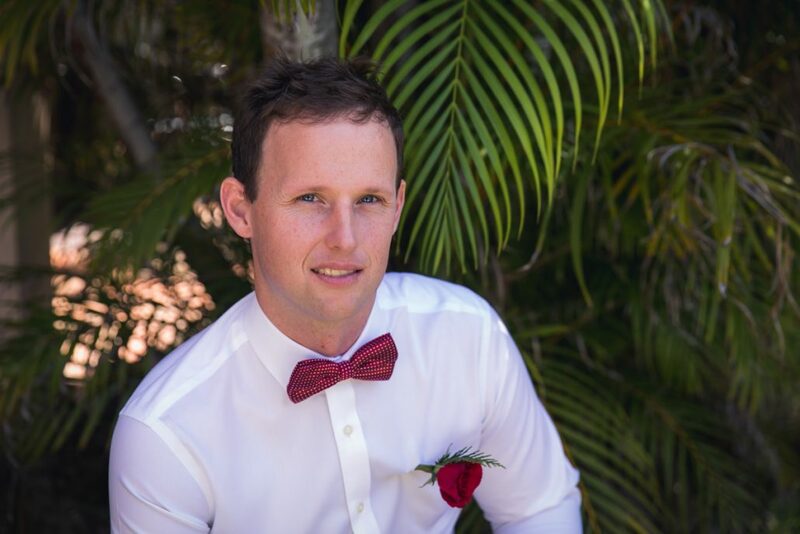 Being from Sydney originally, this was actually my time to Byron Bay so I was pretty excited to check it out and explore the area. Byron Bay is an interesting place with a great vibe. 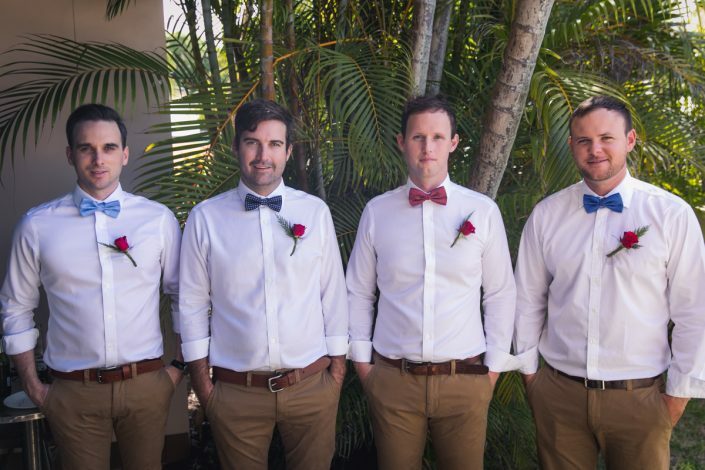 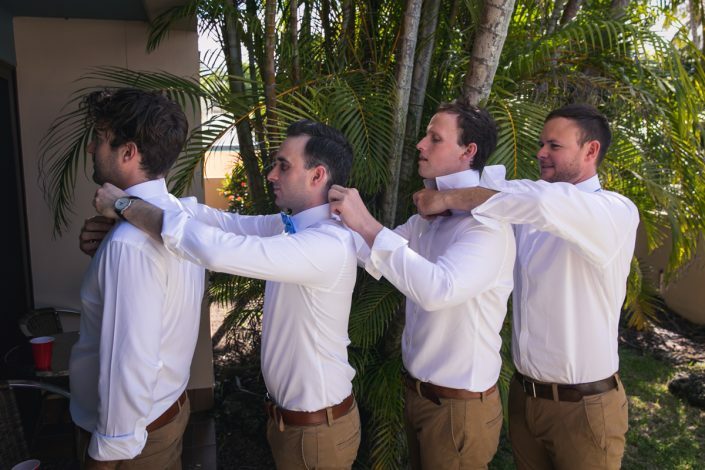 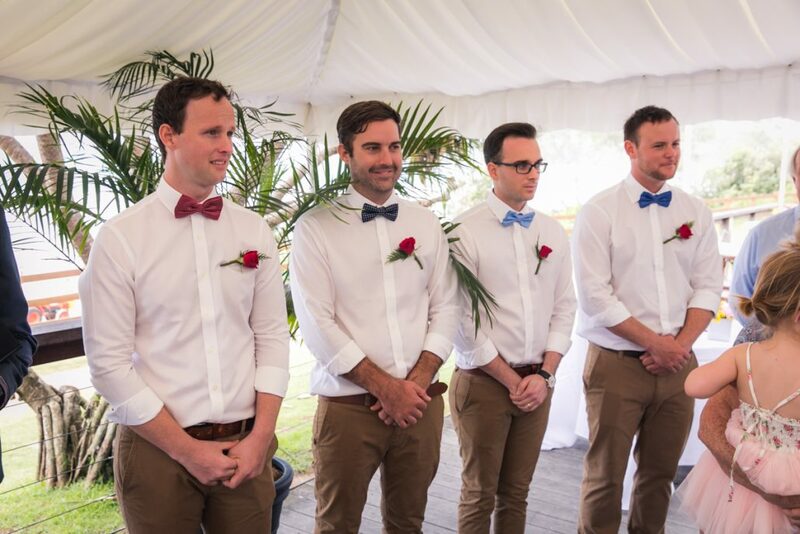 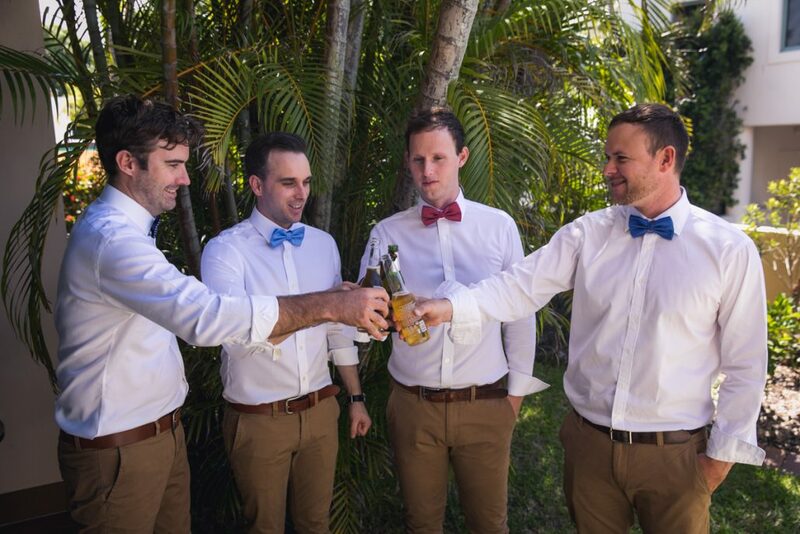 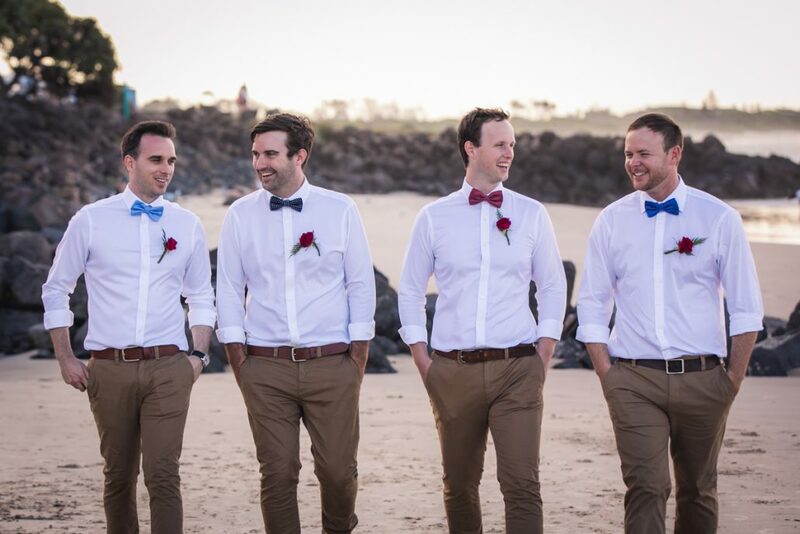 Alex and the groomsmen got ready for the big day at a motel down the road from the beach. 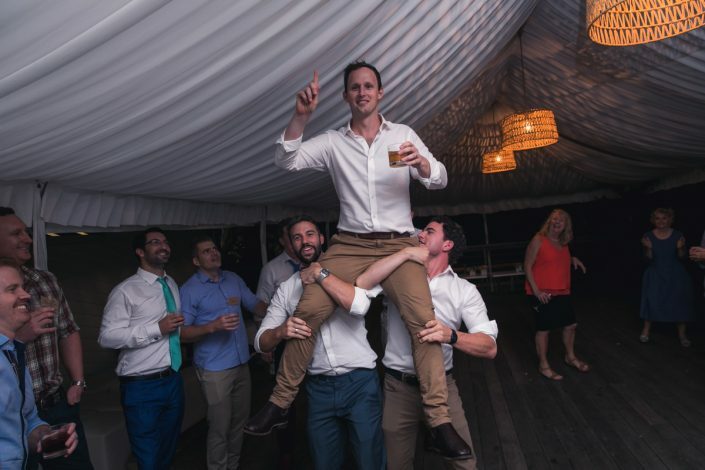 I spent 45 mintues there getting photos of Alex and the boys. 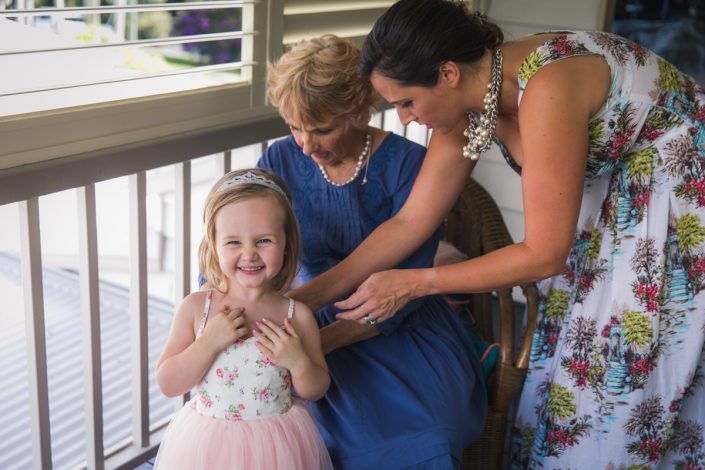 I then headed over to Anna’s parents house where she was preparing. 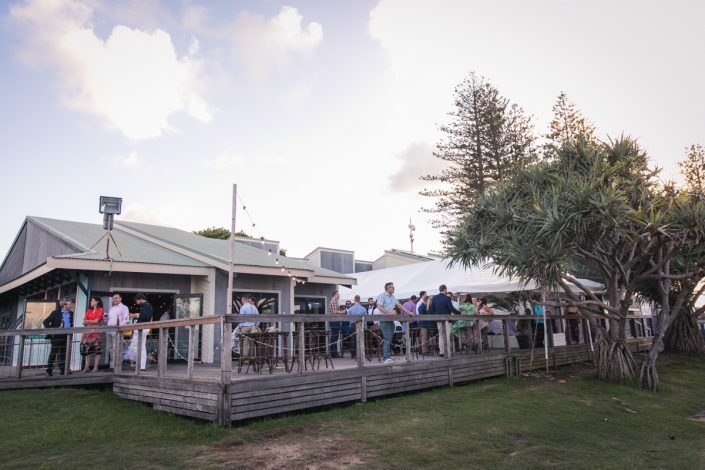 The great thing about Byron is that everything is is a short drive! 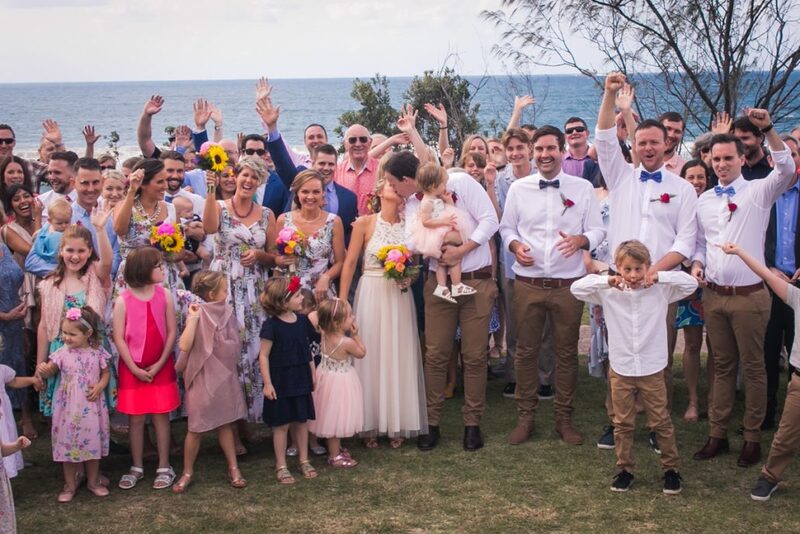 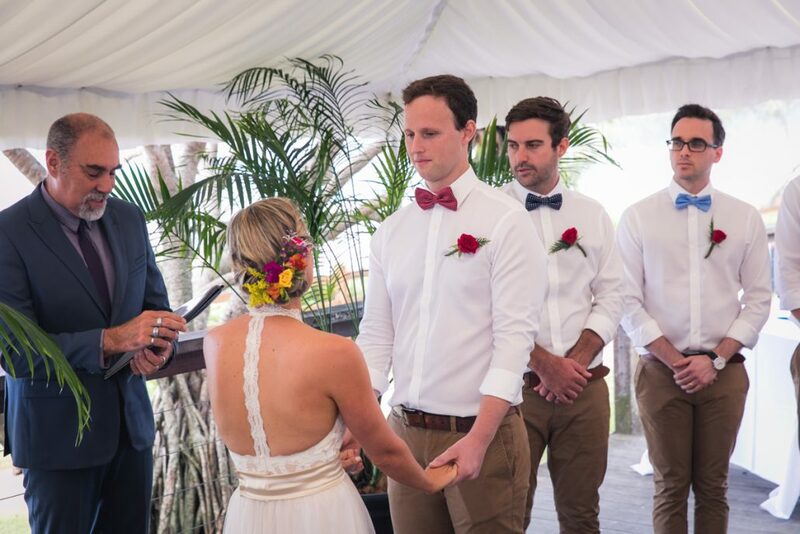 The ceremony kicked off at Byron Bay Surf Club at 3pm, and after completing all the group photos and family photographs it was approx 4pm. 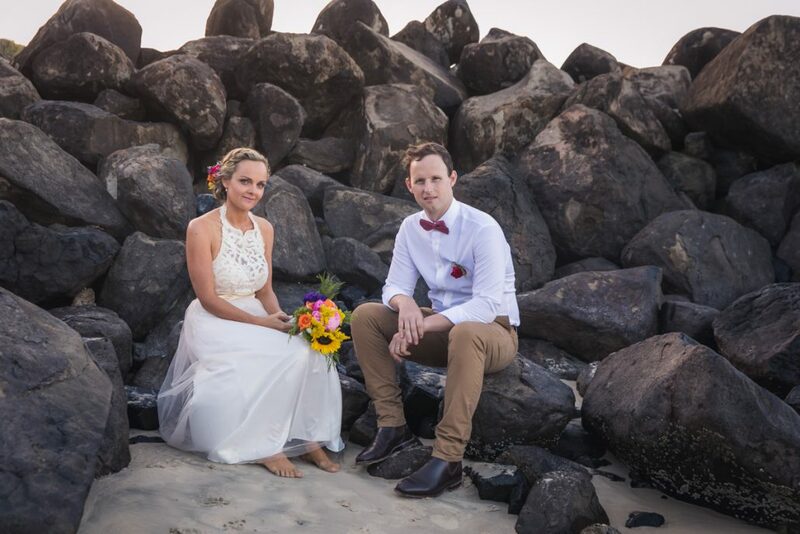 This gave us around 90 minutes to get photos of the bridal party, Anna and Alex and their two beautiful daughters down at the beach which was again, a short walk. We were lucky to wrap up the Location Shoot just in time to get a couple of great sunset photographs. 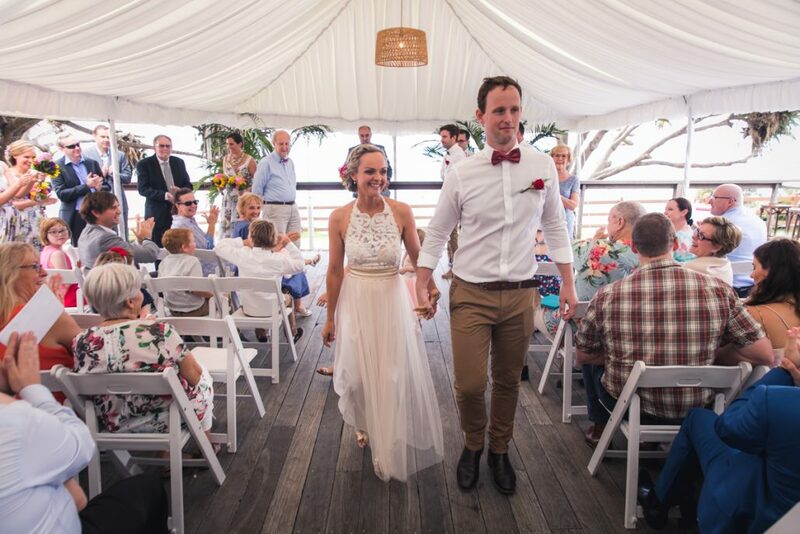 Alex and Anna opted for my 10 hour Deluxe Package, which allowed me to stay right until then end. 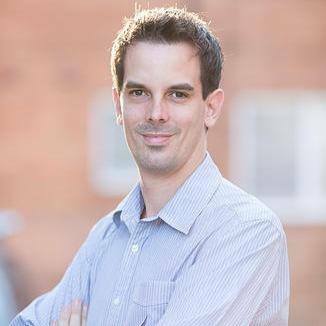 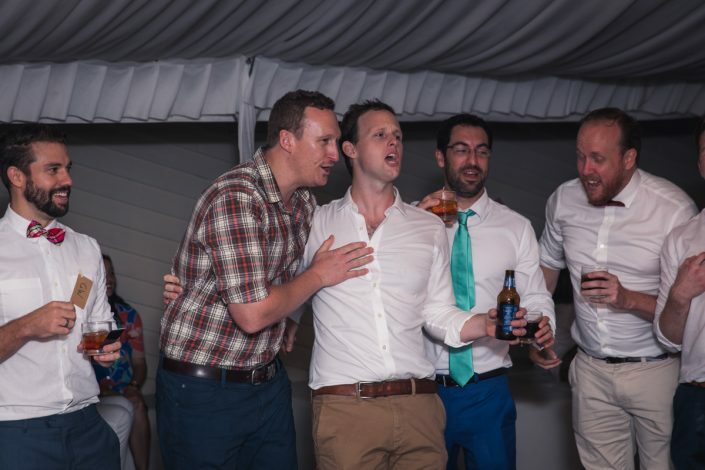 This enabled me to get all of the formalities such as the cake cutting, first dance, speeches as well as dancing and Alex and Anna leaving the venue. 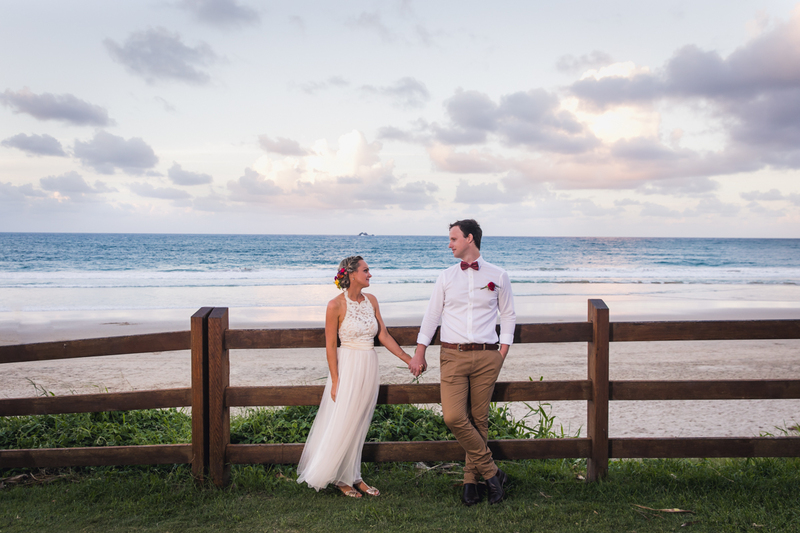 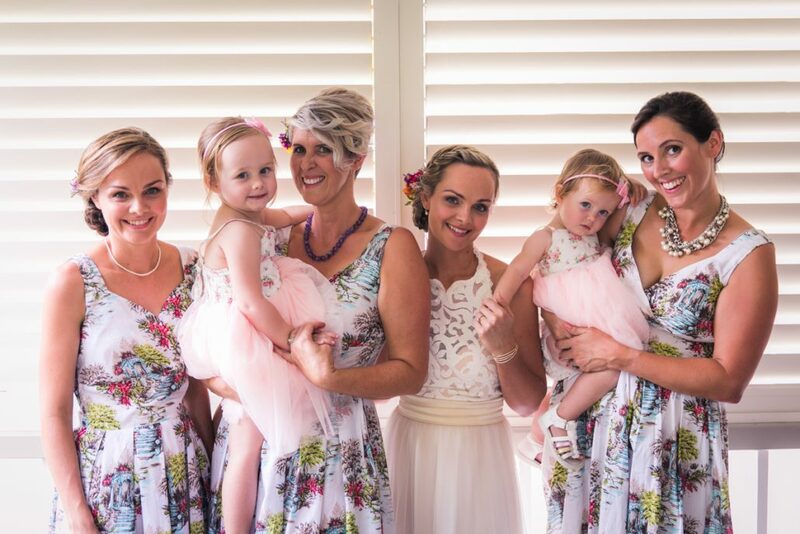 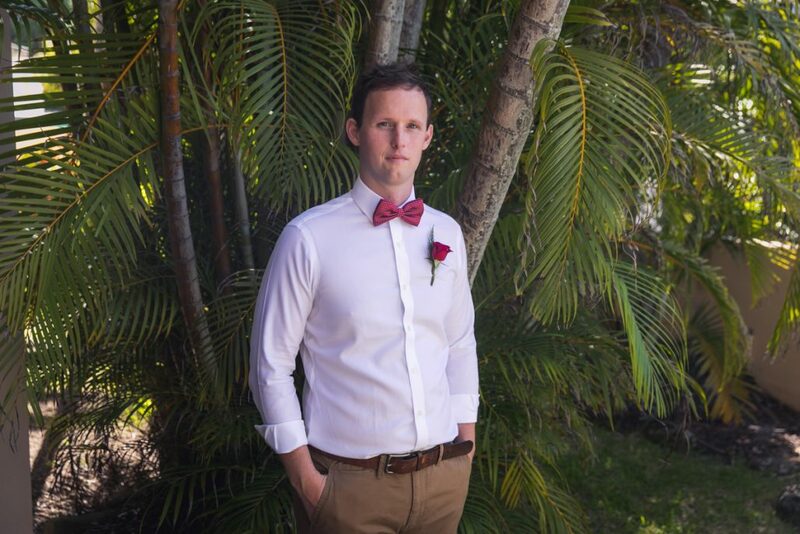 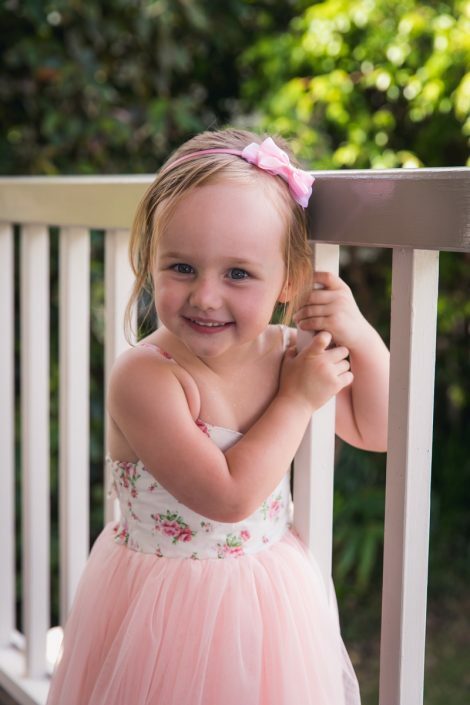 If you are looking for a Wedding photographer in Byron Bay please don’t hesitate to get in Contact with us. 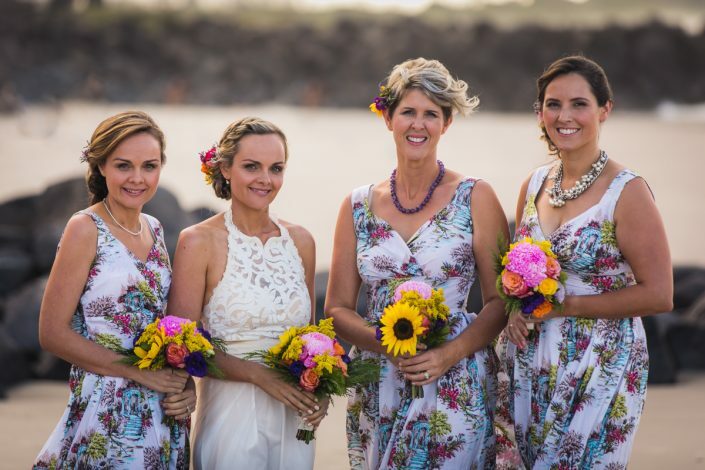 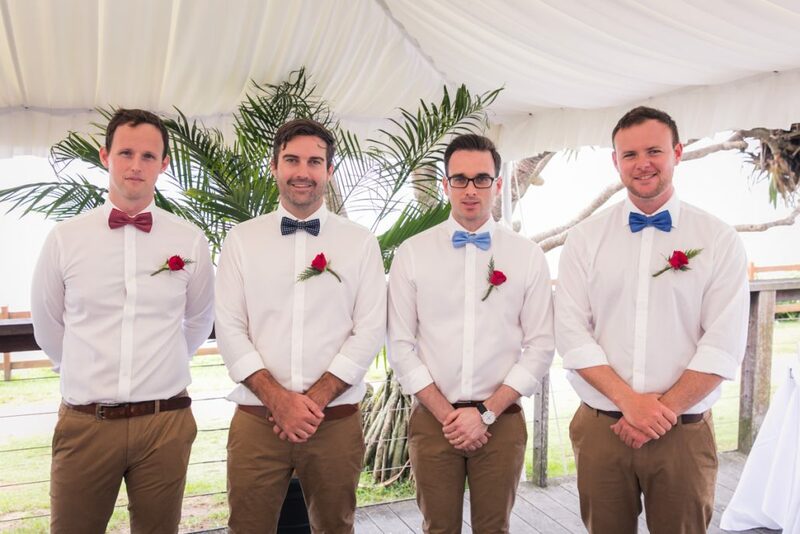 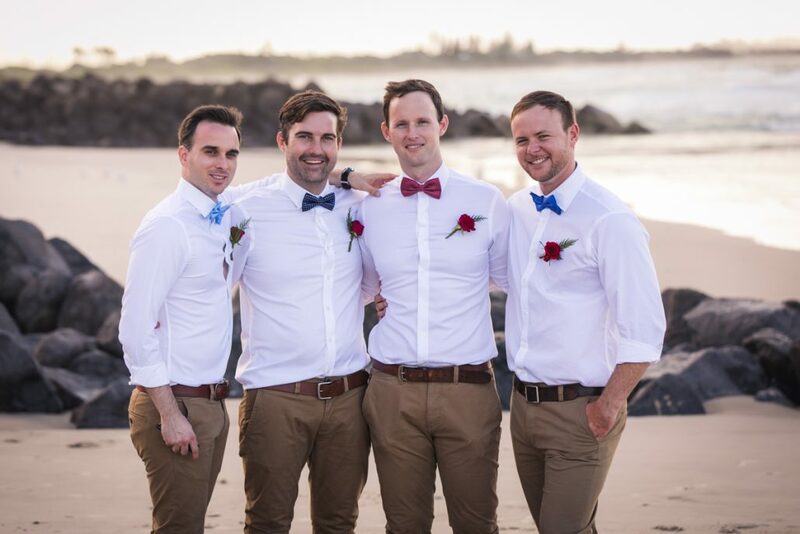 Although this was our first wedding at Byron Bay, I have captured over 500 weddings across NSW and South East Queensland. 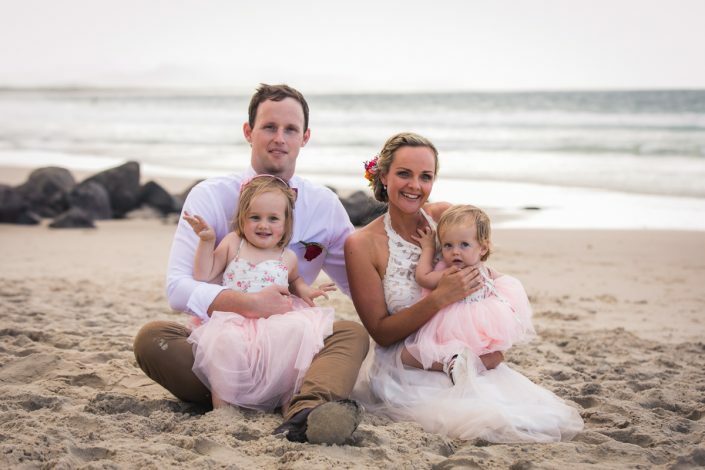 Below is some kind words left by Anna on my facebook business page.